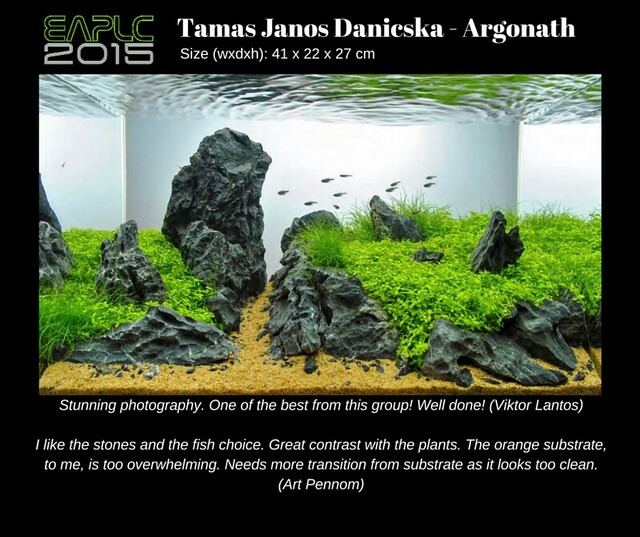 In 2015, the third edition of the European Aquatic Plants Layout Contest (EAPLC) was held for the whole of Europe. 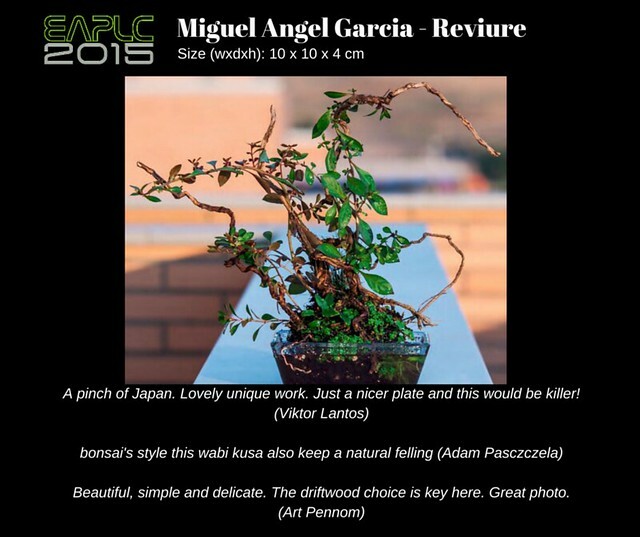 In this episode, Jurijs and Art share with you a behind the scenes look at at the EAPLC from their perspectives as event organizer/judge (Jurijs) and independent judge (Art). We discussed 5 Reasons to Join an Aquascaping Contest in the past. Jurijs Jutjajevs (Germany) – Jurijs! Art Pennom (USA) – me! This year Wabikusa category received almost twice amount of entries. This leaves no doubt Wabikusa is trending! “Less is more” is how to describe the Nano category. Presented works look huge and are more difficult to accomplish compared to regular sized aquariums. Finally the top 10 of the most desired category. Making a head to head race, the winner is Gregoire Wolinski! Three times in a row winning EAPLC is such a great achievement, for this reason we decided to nominate Gregoire Wolinski as a honor member of the judges board 2016. Here is Gravity – the winning work from Gregoire Wolinski. You can see my comments at the bottom of the image. Congratulations, Gregoire! So, what did you think of the episode? 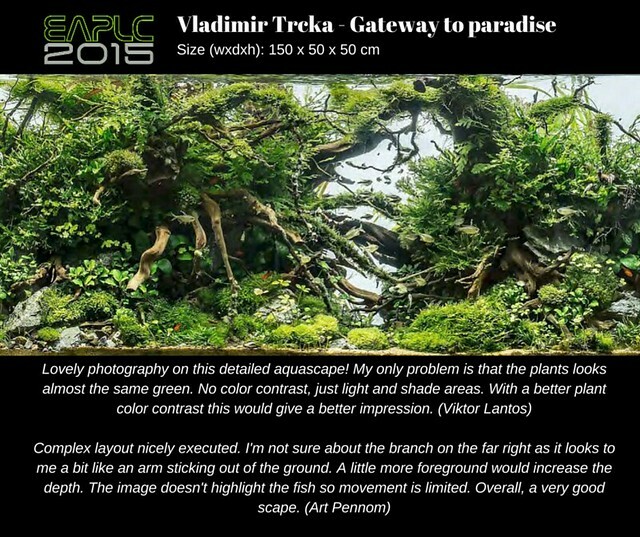 Are you inspired to join an aquascaping contest? If you did enter, what was your experience like? The best way to hear the ScapeFu Podcast and support the show is to download the ScapeFu App. As a bonus, you’ll get the weekly Ask Art Podcast for free. Thank you for supporting our work! You can always reach us at feedback@scapefu.com. We look forward to hearing from you. Are you on Facebook? Please LIKE the ScapeFu Page! My name is Lukas and i’ve made recording that was used in this podcast, hence i would like to apologise for the quality of sound of my recording. I don’t know what i am doing wrong. I’ve borrowed good quality mike from a friend who sings and i hoped that this will help to improve sound quality but i failed to do so. First, sorry about butchering your name! How is it pronounced? Second, are you on a Mac or PC? You can also record to your smartphone, if you use one. Thanks for your support of ScapeFu and all our efforts here. Thank you for having me in the podcast! By Mac I mean an Apple Macintosh computer. It has a great program called GarageBand that you can record into. Otherwise, Audacity is a free program you can use on Windows. So i’m using a laptop with Windows OS and i have used Audacity.